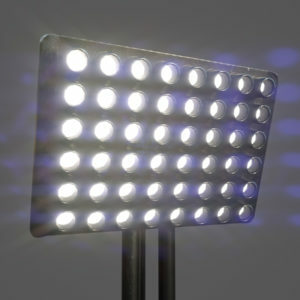 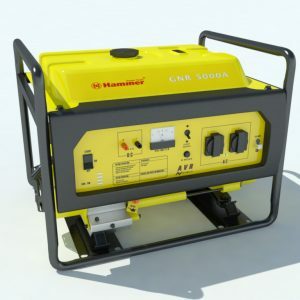 Legal Notice: The intellectual property depicted in this model, including the brand “Hammer”, is not affiliated with or endorsed by the original rights holders. 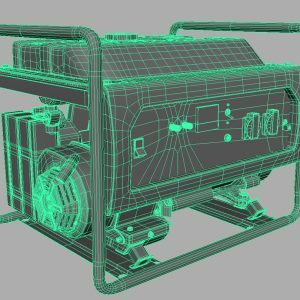 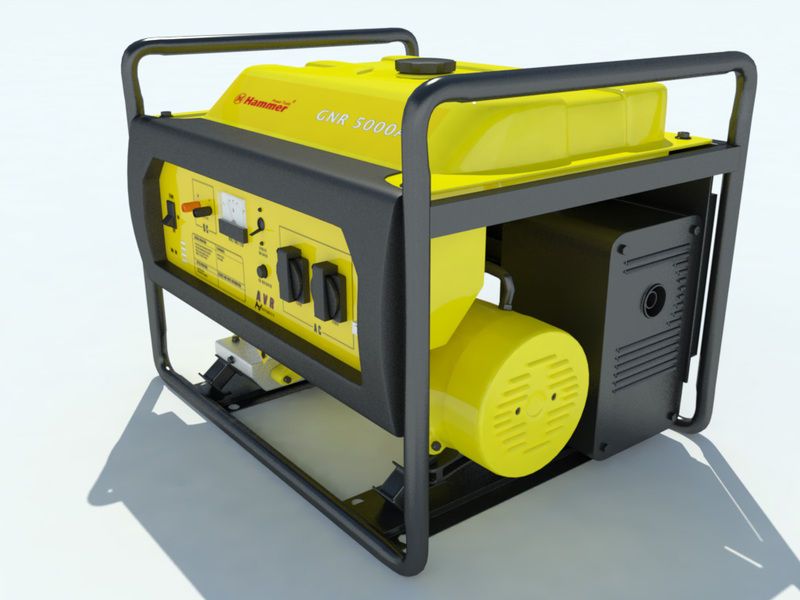 Electric Generator Hammer GNR5000A 3D Model very high detailed mid poly electric generator for photorealistic renders, “.OBJ” .FBX” “.MAX” files, for games, architectural renderings and animations. 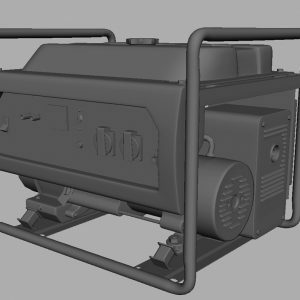 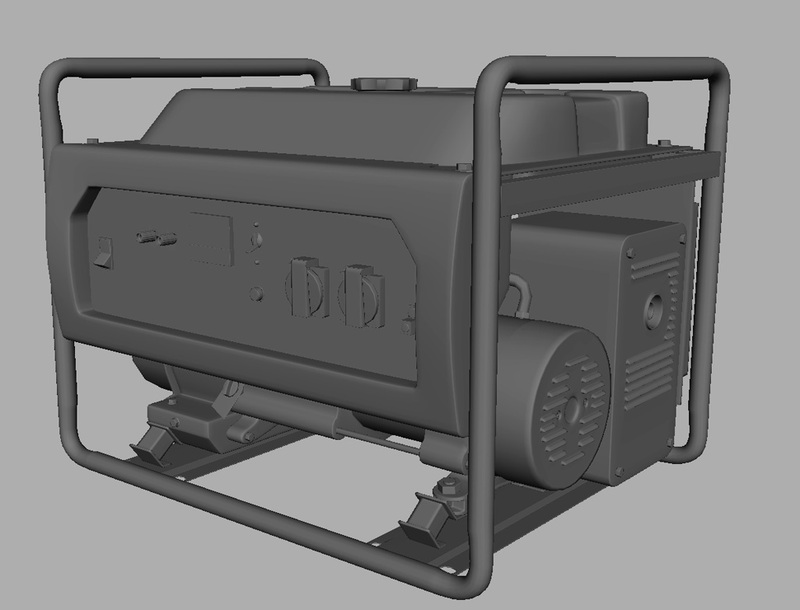 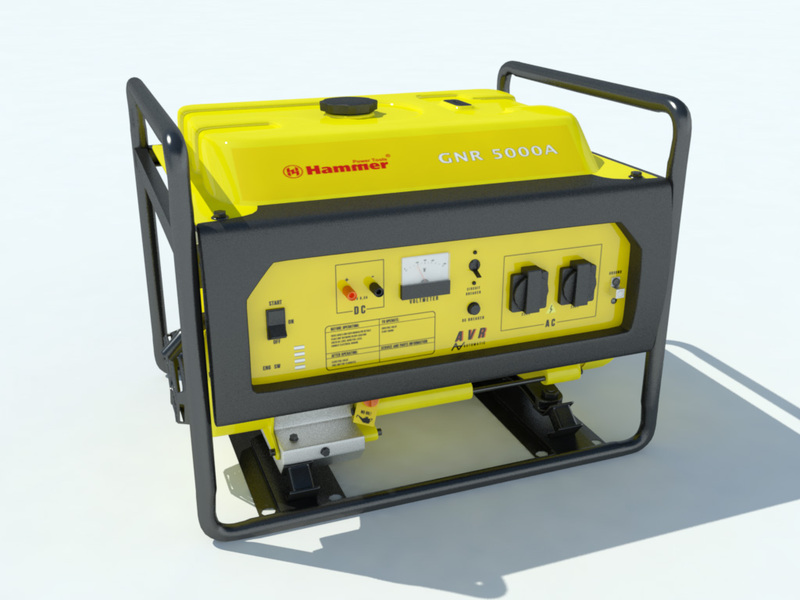 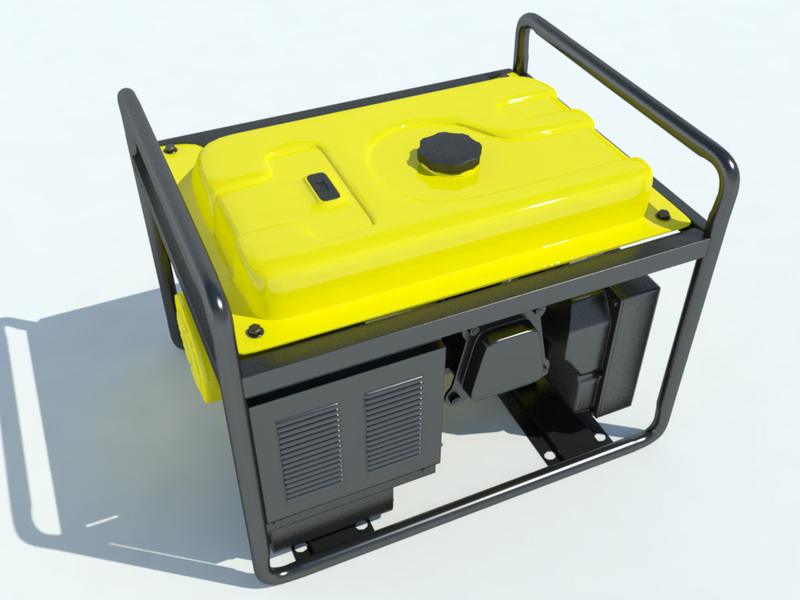 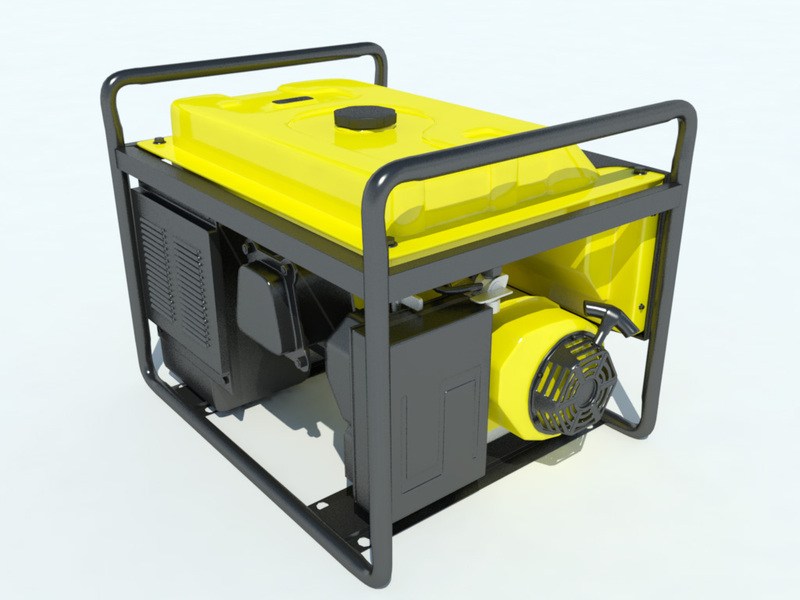 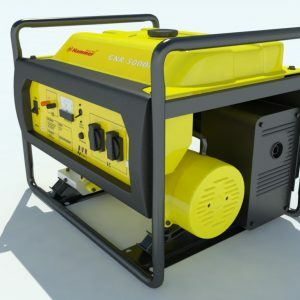 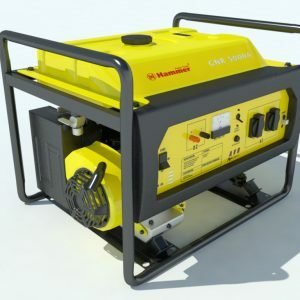 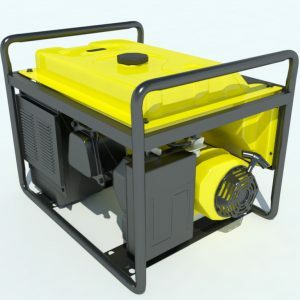 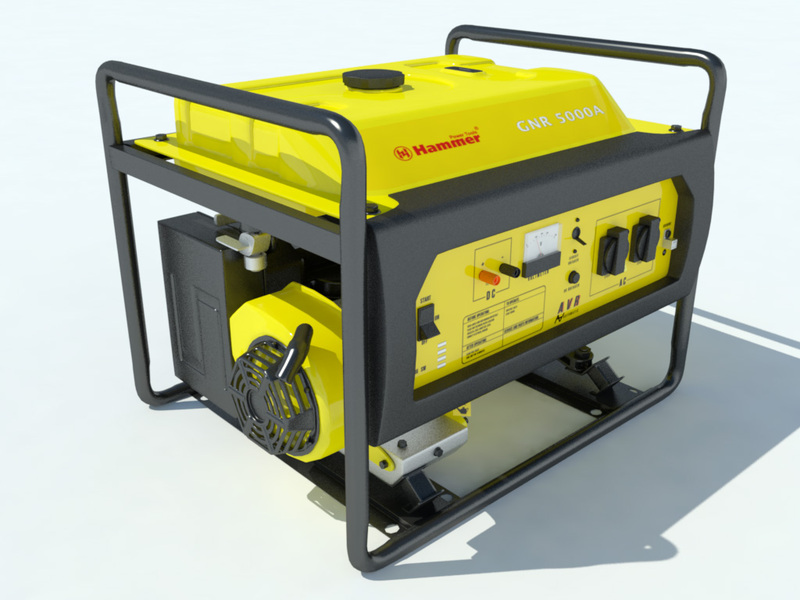 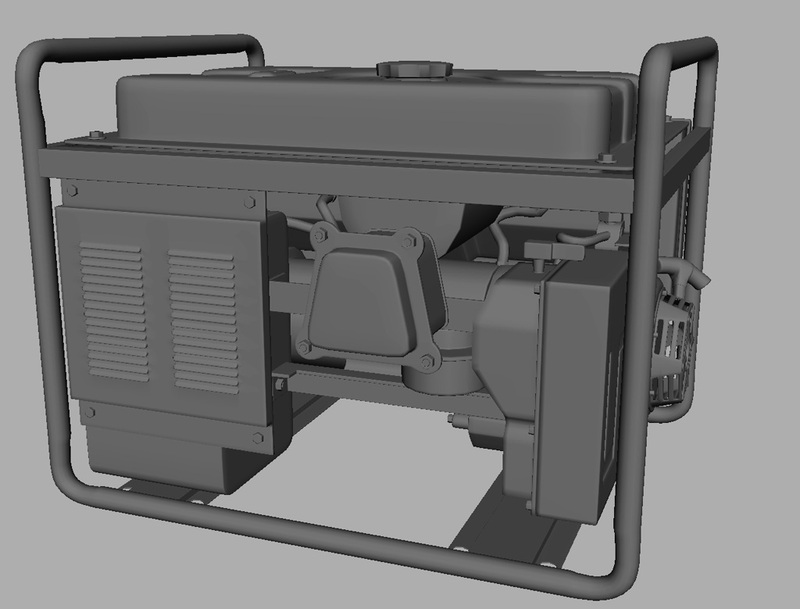 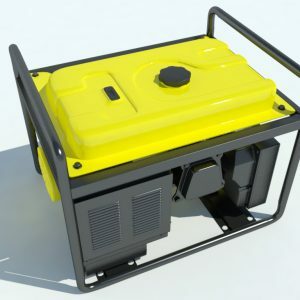 High quality 3d model correctly matching the real Hammer GNR 5000A portable electric generator. 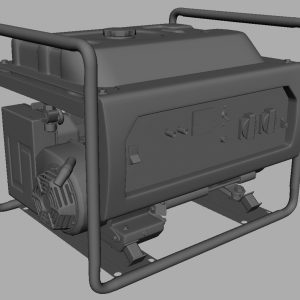 3900×3900 pixel texture map for the front panel information. 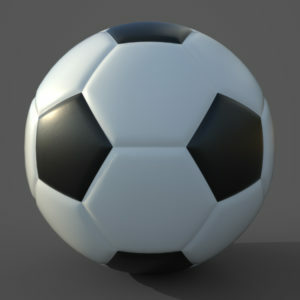 3900×3900 pixel texture map for the logos. 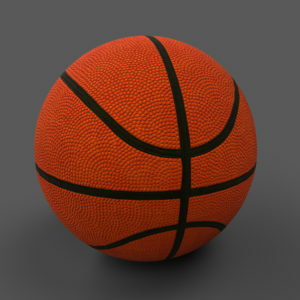 1K texture map for the no-oil label. 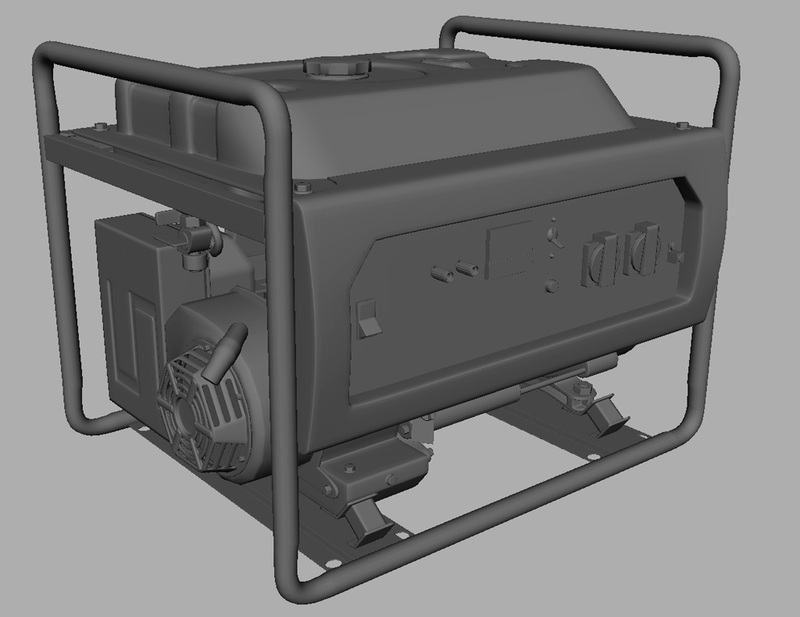 1K texture map for the voltmeter screen. 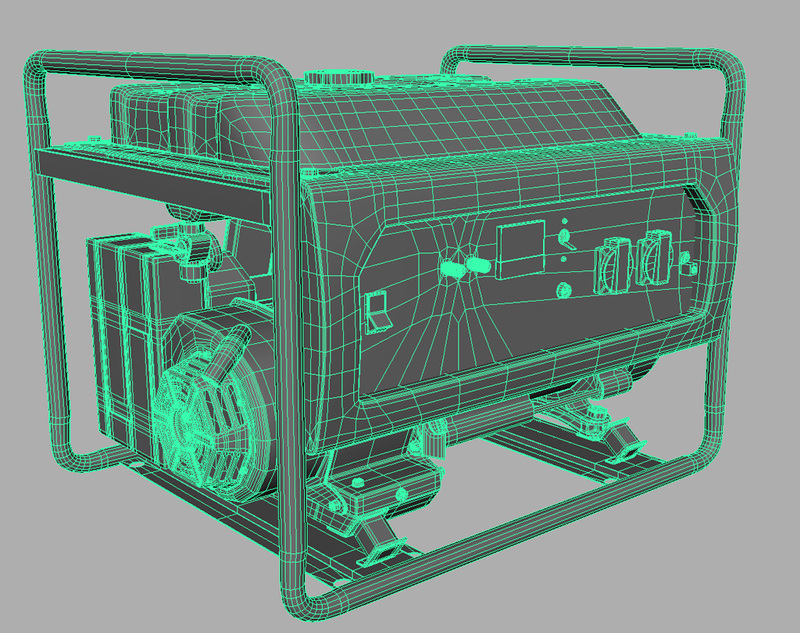 No plugins needed to open or render this model. 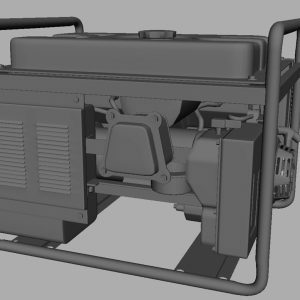 This 3d model is optimized with proper edge flow.